Sprint has found that it is to their benefit to lease their customers a handset rather than selling them one. 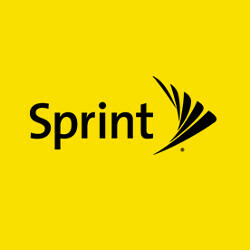 The wireless operator has a new program called Sprint Flex that allows customers to lease a phone and upgrade to a new model after 18 months. For $5 a month extra, subscribers can upgrade after just 12 months. Note that Apple iPhone and Samsung Galaxy models are entitled to a 12-month early upgrade without having to pay the extra $5 monthly. Other options available at 18 months include paying off the device with one lump sum payment. Or, by paying six more monthly payments, subscribers will own the handset. The customer can also decide to keep the lease going by continuing to make the monthly payments. Those who don't mind having their credit checked by Sprint can subscribe to Sprint Deals. This is for customers who have applied for and have received credit from the nations' fourth largest carrier. They can pay $25 down and $5 a month to lease an entry-level handset. Or, a more expensive model from Sprint's entire portfolio of phones (which now includes the BlackBerry KEYone) can be leased for $30 down and $10 a month. With 12 consecutive on-time payments, subscribers can qualify for an upgrade to any new handset. If you don't want your credit checked, you can take 50% off an entry-level phone or 25% off a high-end model. Subscribers will be using the Sprint Forward pre-paid plan. Again, with 12 consecutive on-time payments, customers can qualify for an upgrade to any new handset without requiring a credit check. Why offer leasing programs? Not only do customers leasing handsets tend to stick around longer than those who purchase them, the market for previously used phones is said to be gaining strength. Sprint CFO Tarek Robbiati points out that leasing gives Sprint the opportunity to sell an asset multiple times. "Maybe two lives for a phone, maybe three we don’t know," says the executive. "But those phones have an extended life relative to what we were using in the past." Sprint CEO Marcelo Claure says that the churn profile of customers who lease is very favorable. Those who lease a phone need to take extra special care with it since the device is not being purchased. That means keeping the screen free of cracks and not allowing the phone to suffer any water damage. Otherwise, after the lease expires, the device might have to be purchased at a price equivalent to that of a brand new device. What's up with the new Google search ui. Am I the only one seeing it? I see it every now and then. I like it more. Screw them, I hope they go out of business soon. They are a joke. Why the Sprint hate? The price and service has been good for me in Philly. Customer Service has bent over backward for me.